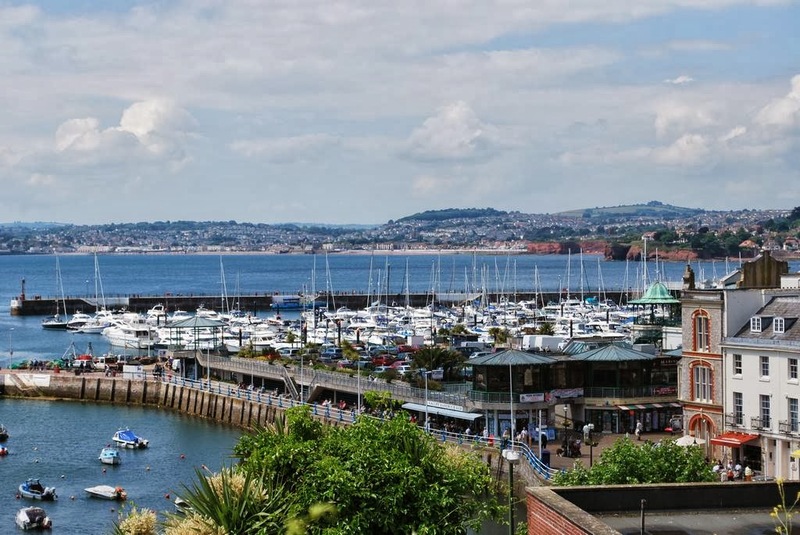 Dubbed the heart of the English Riviera by tourists and locals alike, Torquay is a gorgeous seaside town that combines a mixture of seaside atmosphere with big town attractions. Surrounded by stunning coast and countryside, the towns of Torquay, Babbacombe, Paignton and Brixham offer fantastic all year round holidays for everyone who want their holiday pound or dollar to go that little bit further than if they ventured overseas. As one of the country’s most popular holiday destinations, there’s no shortage of accommodation to suit all tastes and budgets ranging from luxury hotels to charming Bed and Breakfasts and quality self catering establishments such as the vast array of well maintained caravan campsites. During our travels around England in 2010, we stayed outside of Torquay in the village of Ipplepen, just on the outskirts of the famous horse racing town of Newton Abbot. A short 20 minute drive from the lively town of Torquay, we were in the perfect location to mix entertainment with solitude for those moments where we wanted to relax in the midst of the quiet countryside. 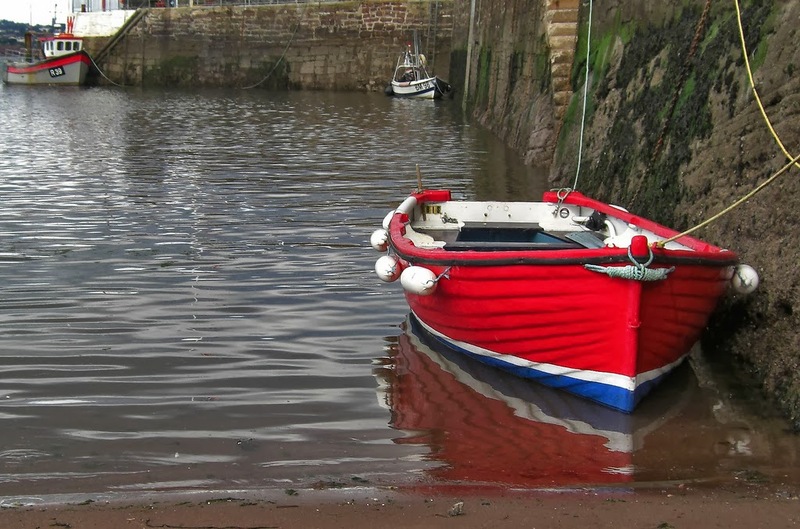 There is so much to do in Torquay ranging from the vast array of shops to various fishing/boat excursions on offer to travel around the Torbay estuary investigating the beautiful coastline on offer in this part of the country. There are really two great ways of spending a day in Torquay. You can park at Abbey Park at one end and then either spend the morning taking part in activities such as tennis, pitch and putt or watching the experts on the crown green bowling. Walking along the seafront enables you to take in the wonderful sea air and sample some of the local tourist gift shops before tasting some of the delectable Devonshire ice cream available from various vendors. 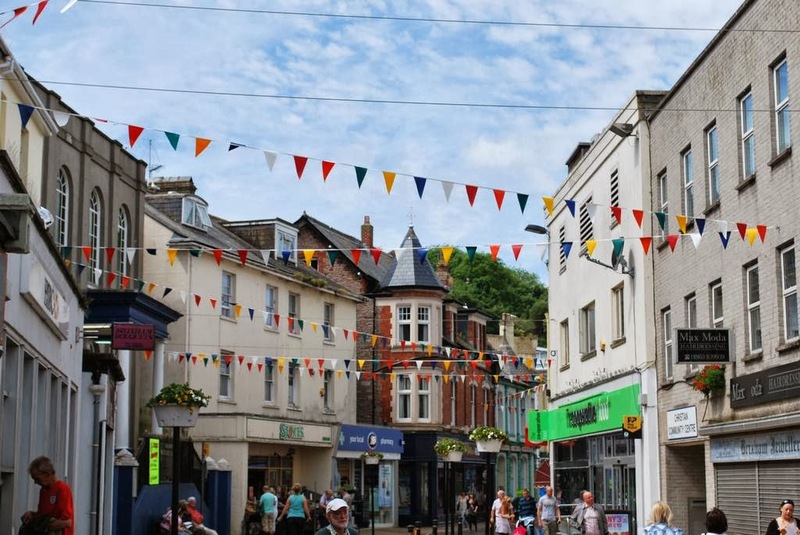 After you reach the end of the seafront you are in the heart of Torquay’s shopping district with a nice range of shops available, from the high end department stores to the more affordable shops such as Poundland (there is something for everyone’s taste and budget). For those American readers out there, Poundland is like Dollar General but as my wife points out, there really is no comparison given the great deals and quality products available at this store! We all like a bargain right? You can walk the entire street although I must add that there is a gradual incline that gets steeper as you start at the bottom and work your way up but you can do a nice loop that will take you to the top of the slope but then drops back down to Abbey Park. There are a number of cafes available along the way for a quick bite to eat or you may want to grab a quick cornish pasty from one of the local bakeries. The second option would be to park by the heart of the shopping district, in one of the multi-storey car parks. 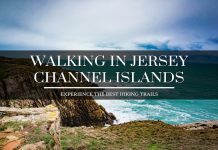 From this point you don’t have to worry about doing too much walking but you can spend the morning shopping and then the afternoon relaxing on the seafront by the Torquay Harbour. Visitors could also sample the local football team, Torquay United FC, by taking a trip to Plainmoor to watch the Conference outfit perform (former football league team). 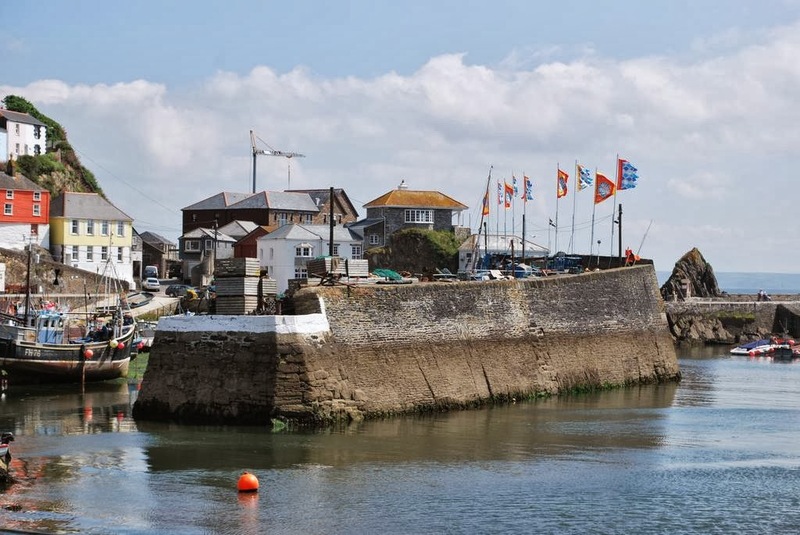 Brixham is a great little fishing village and offers a marina as a hub for the local fishermen and tourists to experience a great day sampling the local offerings. Walking from the car park on the front gives you the opportunity to see a whole range of fishing vessels, some which have obviously seen many rough trips out in the open waters. As you walk into the marina area there is frequently a local fish market available for tourists and locals to purchase fresh fish just after they have been caught at sea. Many of the local gift shops are quaint and tourists can browse around to their hearts content. A couple of hours in Brixham will be sufficient to see everything available but for the pure beauty it is worth checking out if you are in the area. The home of Newton Abbot racecourse which frequently hosts high quality horse racing days, Newton Abbot is a small market town located in the Teignbridge District of Devon about 15 miles from Torquay. Shopping is available just with any market town but some of the local parks are particularly enjoyable to spend a summer afternoon walking around. 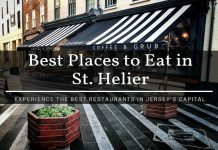 With pubs packed full of character, atmosphere and charm and serving great local Devon produce, you won’t be limited to the usual ‘pub grub’ when it comes to eating out in Newton Abbot. Our recommendation for local pub food would be to visit “The Sloop” located in the nearby village of Kingskerswell just outside the town center of Newton Abbot on the road into Torquay. The atmosphere in The Sloop is great and the food is very appetizing. Situated on the north eastern fringe of Torquay, Babbacombe is a small town filled with a wealth of character and a rich history of smuggling, fishing and intrigue. Probably the most famous attraction in Babbacombe is the world famous “Babbacombe Model Village” which offers thousands of miniature buildings, people and vehicles along with animated scenes of English humour and vintage character. For anyone interested in venturing underground, Kents Cavern is a great opportunity to take photos of historic Stone Age remnants. Tours are available and generally last just over a hour. Paignton is yet another coastal town along the stretch between Torquay and Brixham. The most famous attraction here is probably Paignton Zoo which offers over 3000 animals from across the globe. Paignton is also infamous for being a great location to visit “car boot sales” which are similar to a flea market and give locals the opportunity to sell many of their no longer needed belongings. Visitors travel from afar to visit these sales in the hope of picking up a bargain and generally if they look hard enough there will be something out there. The bartering and haggling is part of the amusement and entertainment involved in taking part in such an event. Paignton has award-winning golden beaches that are among the very best in Britain while Paignton Pier is overflowing with things to do, including a great crazy golf course that tests even the the experts out there and of course the stereotypical candy floss stalls and amusement arcades for those interested in playing with a few pennies in the hope of winning millions! Have you visited Torquay or any other spot on the English Riviera? What a great idea for a blog! So sad I didn’t get to visit more of these places when I was in the UK. Hopefully I’ll be back and can check them out! I did manage to do a wee road trip around Cornwall and came across some similar, beautiful coastal towns. Thanks for the #Weekendwanderlust link up! 🙂 Loving it. Honestly, I didn’t even know there was an English Riviera until I read this! What’s even sadder is that I actually lived in the UK for a year and still never heard it mentioned 🙂 I had to do a double-take on that Babbacombe model village—totally thought it was real. Does that actual village look anything like that? having spent many weeks sailing from Brixham or Torquay I would say they are lovely places to visit – Brixham quieter and cuter, but then Torquay has the penguin reserve which is great (when sailing is abandoned due to bad weather). Also Torquay used to have ‘Route 66’ a night club where it was always buy 1 get 1 free and also possibly one of the best kebab shops around – it was the real deal! I do my research! An English Rivera? Have I been living under a rock? I had no clue. Now that I know, I’d like to be whisked off too Babbacombe thanks very much. Definitely a hidden part of England but I am convinced that anyone visiting here will love it!! This stretch of coastline from Devon to Cornwall is an explorers dream plus the ice cream in this part of the country is awesome! Sorry, just had to give a quick shout out for one of my favourite delicacies in England (plus the clotted cream!). 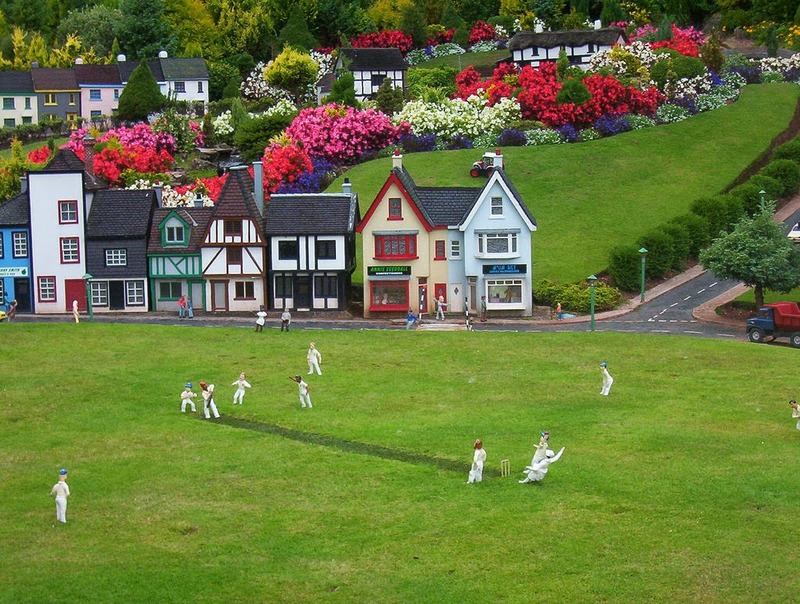 I’d love to see the Babbacombe Model village some day. Thanks for sharing, I’d never heard of the English Riviera before. Thanks for the #WeekendWanderlust linkup, what a great idea! I have never heard of the English Riviera before but glad you did the post. 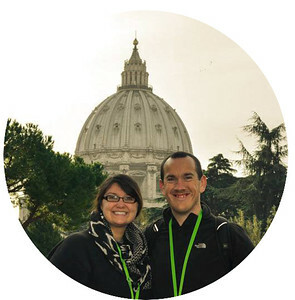 We really want to explore more of the UK next year and are on the look out for places to visit! We have a 3 month house sit in the UK early next year (near Oxford) so we will be keeping a very close eye on your tips for the UK because this post is just gorgeous. These are the kind of little trips we would love to make. Agree re the Babbacombe model, I also did a double take! I had no idea there was a British Riviera either! And Babbacombe…I thought that miniature was a real village until I read the description! They all look like lovely places to visit and I’m sure people love heading there for the weekend or summer holidays to spend some time! I didn’t know that it was considered to be the English Riviera either, sorry about that, feel a bit ignorant. I was aware of some of the places, but not all, so it’s very useful to know about them. Just like Ireland, it’s amazing how pretty it looks when the sun comes out. Lovely photos. I love this! 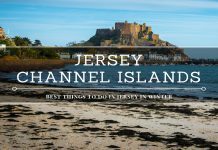 A family trip to England is on my radar, will certainly file this away, looks like some great, off the beaten path towns to check out! Looks like a lot of us were in the dark about the English Riviera-great for you to introduce us to it! Such great shots of these charming places. And Newton Abbot-have to visit now as I am an Abbott who lives in Newton : ). My memories of Torquay are of geography fieldtrips back in my student days. Fun times… I should really visit again soon as, despite going to Cornwall and Devon many times since, it’s been 20 years since I was last there.